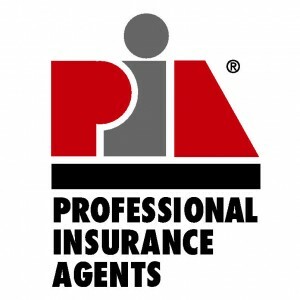 Insurance Policy Types — TARGET BROKERAGE INSURANCE CORP. 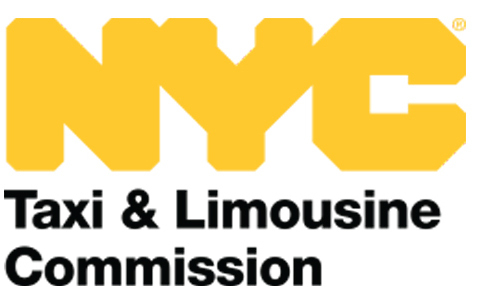 The Taxi & Limousine Commission (TLC) is a New York City regulatory body that licenses and regulates various passenger transportation industries in NYC. The TLC issues several types of licenses & each has their own insurance requirements. Vehicles licensed by the TLC are subject to minimum insurance coverage requirements that vary by class and seating capacity. Most classes of vehicles are subject to liability coverage of $100,000 per person, $300,000 per accident, $200,000 personal injury protection and $10,000 in property damage. All three classes of vehicles must affiliate with a TLC licensed base or app company such as Uber, Lyft, Juno, or Via. All For-Hire Vehicles provide similar service but there some differences between each license class. Black Car vehicles are typically new vehicles (7 model years or newer) that take more than 90% of passenger payments in non-cash form. Most of the on-demand apps such as Uber, Lyft, Gett and Via have licensed themselves as Black Car Bases and dispatch rides to Black Car Vehicles. Livery vehicles come in two flavors: livery and street-hail livery. Livery vehicles can be older and are allowed to accept cash payments whereas street-hail livery or green taxi have the additional ability to pick up street hails in the outer boroughs and upper Manhattan. Luxury limos typically also provide flat basis non-cash service with newer and higher valued vehicles. Shopping for a TLC policy can be a pain – finding a broker, showing up at the broker’s office, finding parking, coming back with missing paperwork, waiting for days to get a policy issued – this can all add to the time it takes to get on the road. Our licensed staff is always here to help – you can call, email or stop by one of our locations. What is a Black Car Vehicle? In New York City, Black Cars are a segment of the For-Hire Vehicle (FHV) class. Black Cars provide pre-arranged passenger transportation using licensed bases for dispatch. Black Cars are unique in that more than 90% of passenger payments must come in non-cash form. Most app based companies like Uber, Lyft and Gett are licensed as Black Car Bases and drivers affiliate with these bases to provide on-demand rides. This makes sense as passengers usually pay drivers using a credit card stored on the app or through a voucher. Black Car vehicle owners are issued a For-Hire Vehicle license after affiliating with a Black Car Base and passing inspection at a TLC facility. Currently Black Car vehicles must be no more than 7 model years old in order to affiliate with a Black Car Base. It’s always a good idea to check with the base or app you are affiliating with to see if your vehicle qualifies. Vehicle owners are required to purchase insurance coverage with minimum limits as specified by the Taxi & Limousine Commission (TLC). If you are looking to purchase a commercial insurance policy as mandated by the TLC, there is nothing easier than using the INSHUR app. Simply download the app, scan your TLC license and you are presented with top Black Car insurance quotes instantly. You can purchase the policy in seconds using a credit or debit card and the app securely stores all your important documents. Shopping for a Black Car policy the old fashioned way can be painful – you need to find a broker and hope that they present you with quotes from top carriers. Not to mention the time it takes to get all the required documents and find parking! The INSHUR app makes it easy to buy a Black Car policy, save and get on the road making money as a black car driver quickly. We have flexible payment options and no fees! Still have questions? No problem. Our licensed staff is always here to help – you can call, email or stop by one of our locations. What is a Livery Vehicle? In New York City, Livery Vehicles are sometimes referred to as Car Service. Livery Vehicles provide pre-arranged transportation via Taxi & LimousineCommission (TLC) approved Car Service Bases. Livery cars can be dispatched via telephones, web sites or apps and have binding fare quotes issued by the base. There are no restrictions on fare payments as compared to Black Cars. There is a wide variety of vehicles that can be affiliated with car service bases and the average age for a livery vehicle is currently 6.5 years. Street Hail Livery permits can be purchased that allow hailing passengers in the outer boros and upper Manahattan, this is also referred to as Green Taxi. In order to operate a Livery vehicle, drivers need to have a valid TLC license. The TLC mandates that Livery vehicles have minimum levels of insurance coverage. For most vehicles this is liability coverage of $100,000 per person, $300,000 per accident, $200,000 in personal injury protection and $10,000 in property damage. Sounds confusing? It doesn’t have to be. Just download the INSHUR app, scan your TLC license and in seconds you have quotes from top Livery insurance companies that conform to TLC coverage requirements. Shopping for a TLC policy the old fashioned way can be painful – finding a broker, showing up at the broker’s office, finding parking, coming back with missing paperwork, waiting for days to get a policy issued – this can all add to the time it takes to get on the road. And as Livery driver, your time is money! What is a NYC Green Taxi? In New York City, a Street Hail Livery Vehicle (SHL) is sometimes referred to as a Green Taxi or Outer Boro Taxi. These vehicles have a distinctive apple green color and can be seen roaming the streets of NYC, especially outside of Manhattan. So what exactly is a Green Taxi? Historically only yellow taxis had the right to pick up passengers off the street, but spent almost 95% of the time serving Manhattan customers below 96th street. As a result of the poor yellow taxi coverage in the outer boros (Queens, Bronx, Brooklyn, Staten Island), Governer Cuomo signed into law the Five Borough Taxi Plan in 2011. The law permitted the Taxi & Limousine Commission (TLC) to issue up to 18,000 new Street Hail Livery permits, 20% of which had to be wheelchair accessible vehicles (WAV). There were legal challenges played out in NY courts, but in the summer of 2013 the first Green Taxis permits were issued and green hit the streets of NYC. Green Taxis must meet the TLC minimum liability coverage requirements which are set at $100,000 per person, $300,000 per accident, $200,000 in personal injury protection and $10,000 in property damage liability for most vehicles. Green Taxi drivers are also subject to NY Workers Compensation insurance laws – which require coverage for drivers operating another permit owner’s vehicle. A Green Taxi is allowed to pick up passengers off the street in the outer boroughs (Queens, Bronx, Brooklyn, Staten Island) and in northern Manhattan above 96th street on the east side and 110th street on the west side. Green Taxis are also excluded from picking up passengers in the airports (LaGuardia and JFK). This is in contrast to yellow taxicabs which can pick up street hails everywhere in NYC. The Green Taxi is a hybrid between a Livery and Taxi – they can be hailed by passengers on the streets and pre-arranged through FHV bases. Currently there are 6,079 active Green Taxi affiliated with various FHV bases – see chart below. Green taxi vehicles must be inspected and “hacked up” or outfitted with technology equipment (LPEP), markings and roof lights similar to yellow taxis.